Imagine living in an Arizona Ranch style home with amazing views on top of a hill in Wickenburg Country Club! Home is block construction with detached 2 car garage on almost 5 acres. 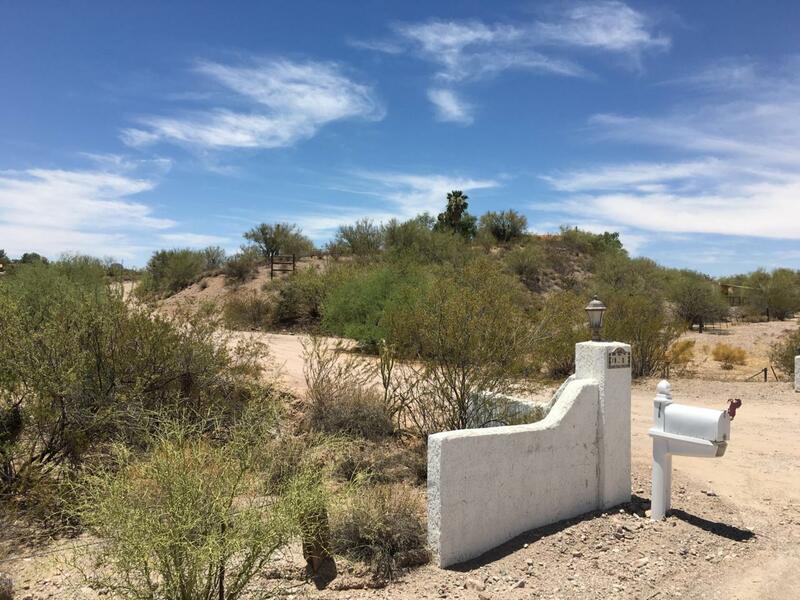 The lot is beautifully landscaped with a mixture of desert plants, mature trees, rock retaining walls and a large back yard. There is a pool, spa, small horse set up with large turn out and barn. All this right in Wickenburg with great access to riding! The home boosts 2 master suites, one with it's own private entrance (could be a rental or mother in law's quarters). The home has all tile floors and 2 nicely updated bathrooms. There are many possibilities with this property...it deserves a look. You won't be disappointed! Listing courtesy of Saddle Up Realty & Property Management.